We take pride in providing the most cutting edge eyecare and treatment options. Our eye doctors are passionate about preventing eye disease that results from high and moderate myopia by using the most effective method of Ortho K contacts, GVSS using wave technology. Why Are We Passionate About GVSS/Ortho K? At Complete Eye Care our eye doctors are passionate about GVSS. We believe GVSS contacts are the most effective form of Ortho K and the most beneficial. For Children with Myopia or for people looking to be glasses and contact lens free, GVSS contacts are the best fitting, best comfort, and most advanced option available. GVSS is a FDA-approved, nonsurgical, reversible method to correct nearsightedness. Baseball? Basketball? Gymnastics? Hockey? Dance? Football? Regardless of your sport or activities glasses and contact lenses can affect your performance. Glasses steam up. Sweat gets in your contacts. You can have unsightly glare at competitions. GVSS can provide a safe, non surgical, reversible method to free you from glasses or contacts lenses during waking hours. GVSS is also ideal for those who work in dusty or dirty environments. For others GVSS offers the appeal of being free from corrective lenses during the day. I’ve Never Heard Of GVSS. Is It New? The clinical scientific name for GVSS is orthokeratology. 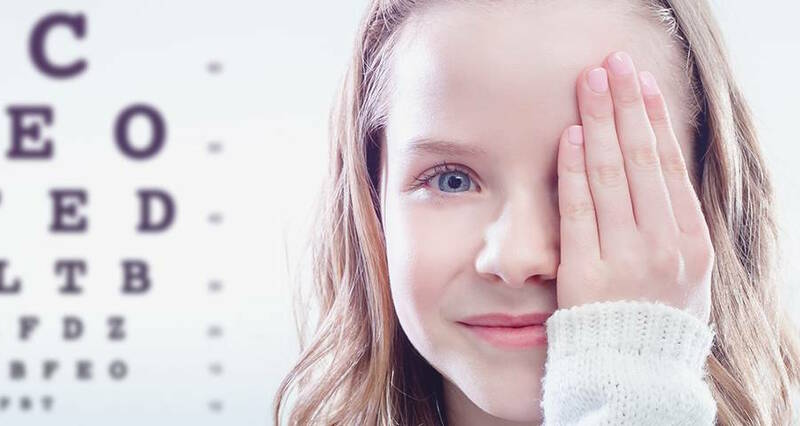 When orthokeratology was first attempted in the 1960’s it would often take over a year to complete and the results were not nearly as favorable as GVSS. With the newer diagnostic technology used to measure the corneal shape and the newer materials being used for vision retainers, GVSS is now a viable alternative for many nearsightedness or astigmatism patients. Dr. Barbara Marcussen has been helping people with this system since 2004. She has received extensive training in the newest most accurate form of GVSS…Wavefront GVSS. Currently there are only a select few optometrists in the state of North Carolina with this special wavefront certification. How Does GVSS/Ortho K Work? How does it work? GVSS uses specially designed vision retainers to gently and gradually reshape the front of the eyes to reduce or eliminate nearsightedness or astigmatism. The vision retainers are similar to contact lenses and are worn at night while sleeping. They are then removed upon awakening to provide clear vision without glasses or contact lenses. The clear vision lasts all day. For some people the vision will remain clear for 2 days. Is GVSS/Ortho K For Everyone? No, GVSS does not work on every patient. The procedure works best on patients with mild to moderate amounts of nearsightedness or astigmatism. Those with higher prescriptions can have their vision improved, but will still need vision correction. Advantages Over Laser Surgery GVSS is less than half the cost of laser surgery. It does not involve any post-operative pain or hazy vision. Prescription changes are easily handled with GVSS. There are no strong steroids or antibiotic drops needed. And, GVSS is 100% reversible. Who Is The Ideal Candidate For GVSS/Ortho K? Is GVSS/Ortho K For Children? Our practice has successfully treated people ranging in age from 7 to 65 years old. Children as young as 7 do well with the GVSS system with a little help from their parents. Does GVSS/Ortho K Work With Dry Eye? The GVSS procedure actually is the best option for people with dry eyes. Because the eyes are free from glasses and contact lenses during the day, they are less likely to have dry eye issues. We have performed the procedure on lots of people whose eyes were too dry for contacts lenses. Are There Other Advantages To GVSS? Now with my scleral contacts, I have clear, sharp, comfortable vision. The optical staff was wonderful. I highly recommend this office. I would highly recommend to everyone. I would recommend Complete Eye Care before any of them. He is very knowledgeable of options concerning your care. I recommend this facility to anyone searching for an optometrist for an adult or child. If you want a good experience from a quality, local, establishment, this is your place! Great people, very helpful and super concerned care! Highly recommend them for all your eye care needs! We would recommend their services highly. - Mark S. Charlotte SC. - Lancy R. Clover SC. Everyone there makes me feel so special. They do their best to accommodate our needs. At Complete Eye Care we welcome you to our practice that offers advanced medical eye care including Myopia Control using GVSS with Wave Technology, Vision Therapy, Scleral Lenses/specialty contact lens fitting, emergency eye care, management of eye disease and much more. We also offer a well stocked optical with the latest selection for kids and adults in a price range to meet your budget. We hope you give us a visit, whether you are coming in from Charlotte or Gastonia, and experience our vision of "Improving Lives Beyond 20/20". GVSS, also known as Wavefront Corneal Molding (WCM), is to orthokeratology (OK) what computer assisted designing (CAD) is to pencil and paper sketches. The fundamental concept with each process is reshaping (flattening) the cornea of the eye by use of a RGP contact lens or mold to reduce refractive errors. After nighttime wear of the mold, it is removed and the cornea retains its flattened shape for the remainder of the day and up to three days with Wavefront Corneal Molding. This means you can see clearly without glasses or contacts all day. You can swim, play sports, or work without any correction and have clear, comfortable vision. The mold must be worn every first to third night to maintain the corneal flattening or the refractive error will revert to pre treatment levels. Present day Corneal Molding has been in use for over 40 years. Recently, there have been many changes in the design, which utilizes the up to 14,000 readings of each patients unique cornea when captured with a Scout topographer (the same type of instrument used when having wavefront guided LASIK surgery) which is then analyzed by the advanced Wave softwear for study by our doctors. A unique corneal mold is designed based on the patient's specific corneal surface, corneal size and shape factors, pupil diameter, spectacle prescription, corneal physiology, and epithelial thickness. WCM is the only process, which utilizes a specific, and proven process of selecting candidates, analyzing data and custom mold design yielding over 95% success. Complete Eye Care is one of only two practices in the state of North Carolina offering this technologically advanced Wavefront Corneal Molding system to patients. Dr. Marcussen is an expert in the field and has helped numerous patients from around our state enjoy clear comfortable vision without wearing corrective lenses during their daily activities. Our patients say the results are miraculous! What is Myopia Control and why is it so vital for the long term health of your child's eye sight?